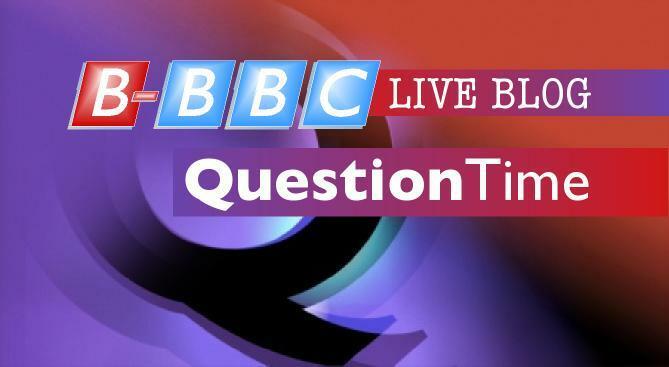 Question Time tonight comes from Stockton-on-Tees. This market town is Europe’s largest producer of huge chavvy earrings, amphetamines and inca hats. It has an exceptionally low unemployment rate for the North East of only 73%. On the panel we have Housing Minister Grant Shapps MP, television executive and former Director General of the BBC Greg Dyke, President of the Liberal Democrats and serial stirrer Tim Farron MP, Mail on Sunday columnist Peter Hitchens, and Shadow Attorney General Emily Thornberry MP. David Vance is currently en vacances dans la belle France but his rules about politeness during the LiveChat still apply (TheEye has a sicknote from his mother and is exempt from that rule). Please respect David’s wishes and in return we will respect your free-flowing banter and satire. There will be no This Week this week. The trivial affairs of the country and the world are replaced by the much more important football highlights. Update: the ever-splendid Billy Bowden [blog here and twitter @ontablets] has pointed out that This Week has strolled randomly across to BBC2. Good spot and my appreciation. You are very welcome to join us. Please play nicely though. LSP on Farewell the The Old Seven and Sixpennies? You can’t outrun a hellfire! Political tags - such as royalist, communist, democrat, populist, fascist, liberal, conservative, and so forth - are never basic criteria. The human race divides politically into those who want people to be controlled and those who have no such desire. If you lead a country like Britain, a strong country, a country which has taken a lead in world affairs in good times and in bad, a country that is always reliable, then you have to have a touch of iron about you. Copyright © 2019 All Seeing Eye. All Rights Reserved.